Wildlife observers need to get a close footage of wild animals by getting into their habitats. Well it is not always safe to get close to all wild animals. 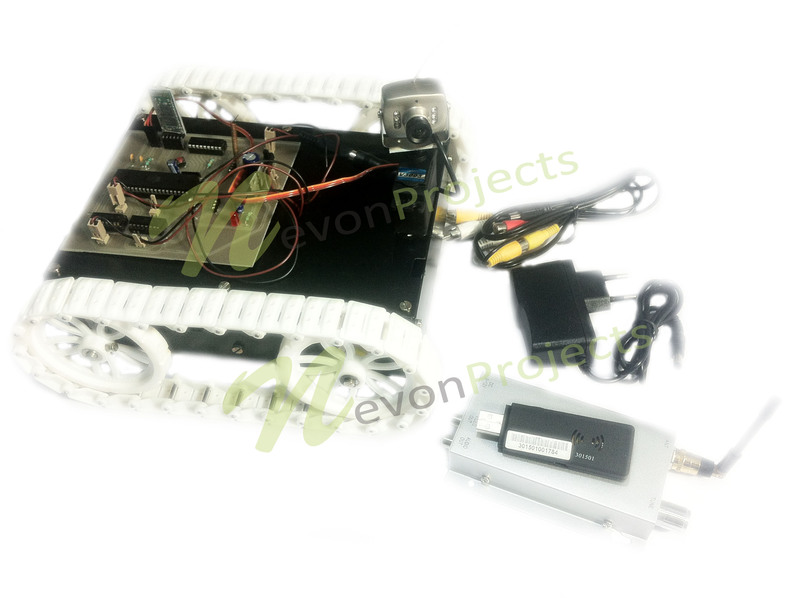 So for this purpose we put forward this wildlife observation robot with night vision capability. This robot can be operated wirelessly by users using just their android phones. The robot also has a wireless camera that sends footage stream wirelessly to the user PC. So wildlife observers can safely get close footage of wild animals by operating this robotic vehicle from a safe distance. This system consists of an 8051 family microcontroller unit used for processing user sent commands. These commands are received by the system through a Bluetooth modem. 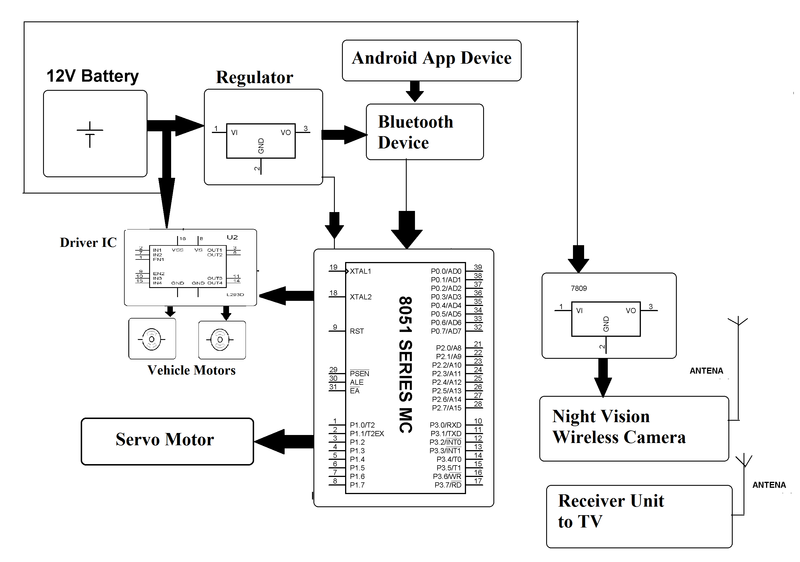 The microcontroller then processes this data and passes on signals to driver motors. The driver motors now in turn operate the motors by providing desired signal outputs to drive the vehicle movement motors. Also when the microcontroller receives the camera directional change signal through Bluetooth modem, it then forwards this signal to the camera motor in order to achieve desired camera angle. Thus this wildlife observation robot is allows for safe wildlife observation using an android device control. Android Projects, Electronics Projects, Hardware Projects. permalink.